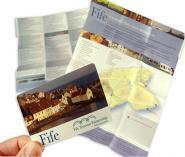 Marketing leisure attractions is easy with pocket size 'mini brochures'. The clever cardboard engineering designs of the Little Big Card and Starburst fold products make them ideal leisure marketing products that can be kept and carried around easily. 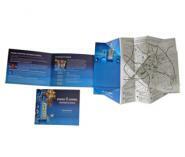 With lots of printing area and hard-wearing outers they are ideal for pocket street maps and arena guides. Other products in the range suitable for pocket-friendly marketing in leisure products are the A7 size Carry ‘n’ Keep and the Starburst products. 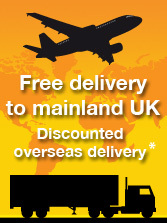 Hotel marketing can also benefit from these small but perfectly formed promotional products. The pocket sized Starburst have a flamboyant design and are very amusing to use. Choosing from either the Mini Starburst or the Double Starburst for your leisure marketing items you can guarantee that they will work well for you. Everyone travels light these days which is why it is essential that your tourists and visitors have a pocket sized compact street guide. In some cases self-funding products are required with advertising spaces for sale; if that should be the case the Little Big Card or Carry ‘n’ Keep may well be your preferred choice. 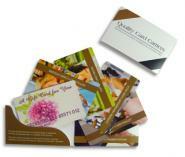 Try health club marketing with card holder products. Any type of membership, loyalty or key cards presented in a card carrier adds prestige and worth and at the same time protects them from damage. The Card Carrier Extender is one of a wide range of designs of hotel marketing ideas for room-key cards or health club marketing ideas for membership cards. Other popular styles with ample room for print and ideal for marketing for hotels and fitness centre marketing include the Swatch Card Carrier and the Foldilocks Card Carrier. For more fun designs and perfect for marketing in leisure the Starburst, V-fold and Parallelogram Card Carriers add an entertaining feature. All the Quality Card Carriers keep the plastic cards clean and protected and advertise your venue or pursuit well since every time they are used they will catch someone’s attention. 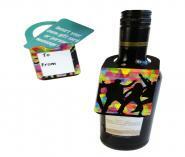 Restaurant marketing benefits from creative and unusual products, and food menu's are no different. 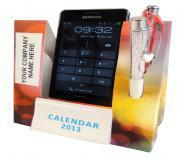 Bold and showy leisure marketing products that are eye-catching will attract attention and keep it. 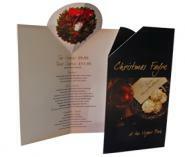 The Pop Top Card is ideal for designing as a restaurant marketing or hotel marketing menu card; the pop-up top can be a customised shape to complement your promotion or time of year. 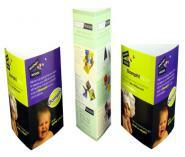 The Tent Cards are ideal point of display products for reception and counter top locations. They are easily assembled, have plenty of room on three sides for advertising special offers and events and one of the best restaurant marketing ideas for grabbing attention. The Tent Topper and Prism Card are smaller products; both suited to marketing a hotel or restaurant marketing as menu cards or point of display items. Hotel marketing display cards are a traditional way of promoting the facilities at the chosen venue and work well for capturing attention. 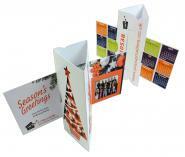 The Tent Cards with their three sides and ample room for print have a great reputation for in-room advertising. 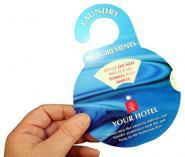 Other designs that make light work of hotel marketing ideas are the Prism Card and Tent Topper. 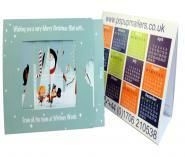 For a quirky form of advertising the Door Hanger is a fabulous eye-catching product. Whilst used for a long time as a 'Do Not Disturb/Please Clean my Room' hanger it is now seen in many other scenarios. 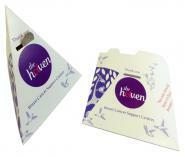 The Door Hanger can be functional, for example a breakfast choice hanger but is also a superb format for marketing a hotel too. The Little Big Card is often printed for guests to keep whilst at the venue with places of interest and local tourist attraction information on one side and a location map on the other.